Mark Duncan at Yachting Partners International tells me that broker William Molloy has now signed Benetti's 29.75m classic motor yacht Salve for sale. 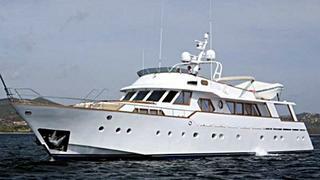 Built in 1974, she was returned to her original excellent condition during a year-long refit in 2007/2008 and is now seriously for sale by an owner who’s moving up to a larger yacht. Salve is asking €1.975 million.